Resting on the shore, Puerto Varas is one of the most emblematic cities in Chile and one of the most beautiful on Lake Llanquihue. It is located in the X Region of Chile, known as the Lakes and Volcanoes District. 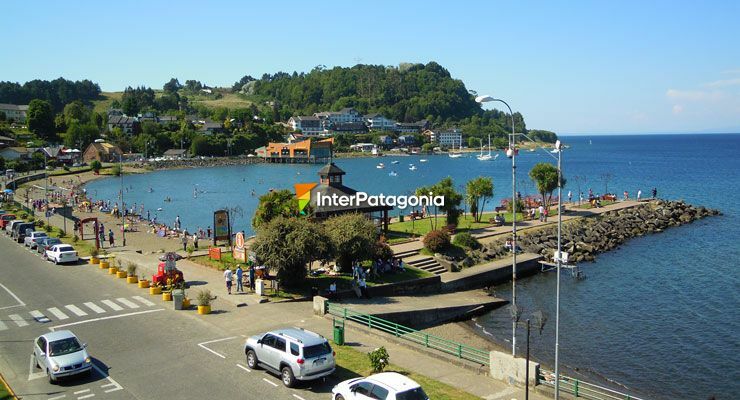 Just 20 kilometers away from Puerto Montt, Puerto Varas gathers the poetry of its rosebushes and the typical regional flora with the streets that end at is magical waterfront, which may be enjoyed both during the day and at night. The German colonization left track in its architecture and gardens, which offer a view of the silhouette of the Osorno and Calbuco Volcanoes, whose summits are always covered by snow. In addition to its beaches and bathing resorts in the summer, other interesting attractions lie a few kilometers away. One of them is represented by the Petrohué River and Lake Todos los Santos, where river rafting, zip-lining, salmon fishing and hiking to various destinations within Vicente Pérez Rosales National Park may be enjoyed. The famous and mythical Osorno Volcano and the great deal of volcanoes that surround Puerto Varas summon visitors all year round, but especially in the summer, when thousands of mountaineers come along to hit one of these summits. It is also possible to fly over them on a light aircraft by hiring some of the first-time flights leaving from the local aerodrome. From the air, these tours offer a clear vision of the city and its surroundings, including Frutillar, Puerto Octay, Puerto Montt and Llanquihue, to name a few. At night, Puerto Varas becomes unforgettable. Walking down the waterfront in the moonlight under the stars is a unique experience. Dozens of excellent restaurants and pubs serve top-of-the-line international and regional cuisine. The local casino, one of the most beautiful all throughout Chile, invites visitors to try their luck and enjoy the shows performed there every night. Day and night, both in the summer and the winter, Puerto Varas has everything to offer. Travelers just need to come along and see it.